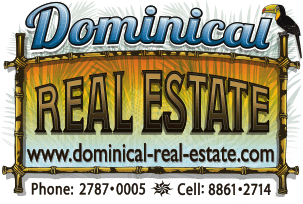 The stunning Condo Development, Marisol, is located on the prime front ridge in Dominicalito Bay about 60 meters above sea level and less than 1 kilometer from the ocean. The Pacific Ocean views are panoramic and breath taking. Marisol, when completed, will be comprised of 54 ocean view Condo's ranging from 2-bed, 2.5 bath and 900 ft2, to 4-bed, 3.5 bath and over 1600ft2 Condo's. Prices start at $229,000 up to $569,000 for the Penthouse Suites. With your Inquiry, we will provide you a full and current Availability List of Condo's. Marisol has three buildings competed with a selection of 23 Condo's to choose, acquire and are move-in ready - Today. This is not a Pre-Sale development. Marisol is selling completed Condos, now. Taking advantage of our year round climate, Marisol offers ample relaxing outdoor living areas with well designed, elegant indoor living space. Marisol’s fundamental planning approach is to provide an authentic Costa Rican setting and experience while providing luxury amenities and services found in other world-class resorts. Many of today’s refined travelers demand a “sense of place”, a connection to the local environment. With its proximity to the beach and town of Dominical, Marisol customers can enjoy a feeling of integration with the local community while also enjoying relative seclusion within the confines of the Marisol residential community. Your Marisol residence will allow you to watch your boat float in Dominicalito Bay, enjoy world class surf within minutes, partake in excellent fishing, diving, and so much to explore throughout Costa Ballena. Watch the crashing waves on the rocky outcroppings on either the northern or southern points of the bay while enjoying the sunset from one of Marisol's condos. Marisol delivers high quality comfort, and community at price point compared to no other development in the area. Several units have now been sold, and the remainder of Phase I is weeks from completion. Phase I includes the first three building, comprised of 23 Condos. After these sell out, Phase II will begin sales, which will have four separate buildings and the remaining units. The time is now as you can take ownership and move into your Condo, today. Give us a call for a private showing. We are sure that you will be impressed.